LOUISE COETZER received her Bachelors Degree in Dance with Movement Composition as major from the Pretoria Technikon and is currently living and working in Cape Town. 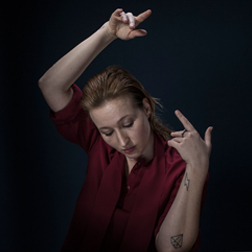 In 2010 she established DARKROOM CONTEMPORARY DANCE THEATRE along with co-founder Oscar O’Ryan, with the vision to reimagine dance as art form within the current contemporary society. 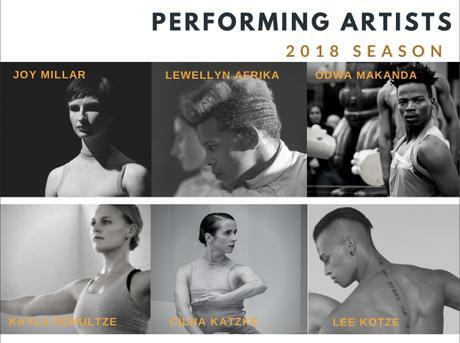 Coetzer is artistic director and choreographer for the company, creating works with the intention to delight and engage audiences through its innovative approach to staging and presenting dance to audiences. Through Darkroom Contemporary, Louise also regularly works within the genre of dance film as choreographer and director. The company’s dance film works sits alongside its performance projects, making the work accessible to a larger global audience through the mediums of film and digital media.Darkroom Contemporary’s dance films have screened internationally as part of the Burgundy International Festival of Video Dance (France), Agite Y Sirva (Mexico), The British Film Institute’s Young South African Filmmakers Showcase(UK), Foreign Exchange (France) and the Global Art and Moving Images Awards(Finland), and locally as part of the Letters from the Sky Film Project,City Breath Festival of Video Poetry,COP17 Climate Change Convention and the National Arts Festival. Kristy Brown, Anderson Carvalho, Leilah Kirsten, Remo Adonis, Sherwin Rhode, Nadine Buys, Odille de Villiers, Simone Theunissen, Natasha Rhoda, Anna Stead, Che Milani, Philip Southey, Christy Giesler, Seugnet Liebenberg, Shaun Smith, Mandla Sibeko, Cilna Marais, Sisipho Mbopa, Lwando Sindaphi, Hlubi Nontlanga, Lauren Hambly-Wise, Tamryn Pelser, Tarryn Diedericks, Robyn McHarry, Lucian Albertyn, Armand Aucamp, Lara Spence. Ebenhaezer Smal(Composer), Duane Howard (Photographer), Gustav Stutterheim (Composer), Fabian Humphreys/Cape Laser(Laser light designer), Mark Wilson/Clear Data Vis (Data analysis & visualisation) , Martinique du Toit( Vocalist), Gustavo Fasani, Douglas Armstrong, Aviva-Liora Moses (Music group LoRez Tango Electonica), Helo Samo( Visual artist, sound designer, graphic designer), Sunel Haasbroek (Videographer), Marc Nicolson, Lyall Sprong, Paul Mezarcik (Design group ThingKing). OSCAR O’RYAN is a South African photographer and videographer specialising in capturing movement and dance. He regularly works with a range of theatre and dance companies, capturing rehearsal, performance, marketing and studio photography. 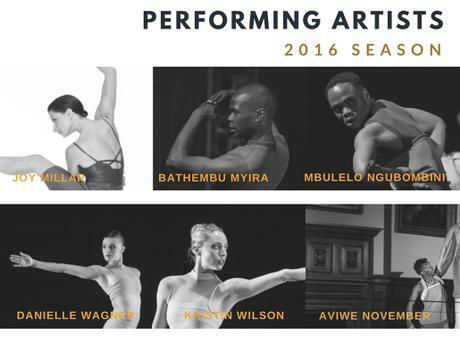 His clients include The Baxter Theatre, The Cape Dance Company, Jazzart Dance Theatre, The Baxter Dance Festival, Infecting the City Festival, Dance For All, New Africa Theatre, and Skenkonst Sormland (Sweden). 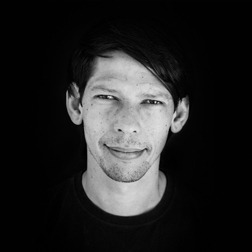 Oscar’s work was selected as a top ten entry in the media category of the Ramsay Media Picture the Change photo competition and his photo story, The MOTION Project, was included in the official programme of World Design Capital Cape Town 2014. He has shown solo exhibitions at the Cape Town City Hall, Youngblood Gallery, The Baxter Theatre Centre and Side Street Studios. As videographer, Oscar has worked on numerous documentary films and travelled across the continent, filming Getaway to Africa for the BBC and Discovery Channel. 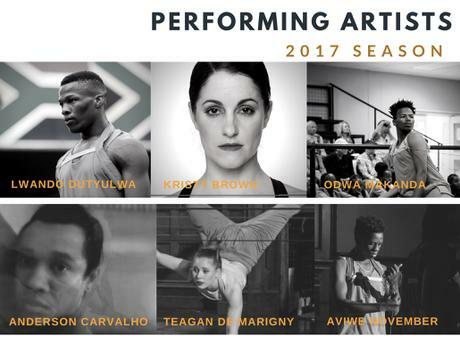 He has created film work for the theatre productions “I hit the ground running” and “Struck Silent , both produced by the Baxter Theatre in collaboration with Skenkonst Sormland. Oscar’s dance film works produced by Darkroom Contemporary have screened at the Burgundy International Festival of Video Dance (France), Agite Y Sirva (Mexico), British Film Institute (UK) and the GLAMY Awards (Finland). Oscar is co-founder of Darkroom Contemporary (est. 2010), a Cape Town based physical theatre company and non-profit organisation. As project manager for Darkroom Contemporary, Oscar oversees all aspects and logistics of the organisation’s work including staging productions, dance film work and development projects, and is closely involved in the organisation’s growth.